With its water, wide vistas and fields of wine, Lake Neusiedl is a unique nature reserve and a great place for water sports. Geographers refer to it as a steppe lake, of which there are few in Europe (Lake Balaton is another example). Lake Neusiedl, which has no natural drain, is the largest lake in Austria and it is encircled by a wide swath of reeds. Due to its shallowness, the water can reach nearly 30 degrees Celsius in the summer. The lake's unique plant and animal life is protected by two national parks and by its designation as a UNESCO World Heritage Site. 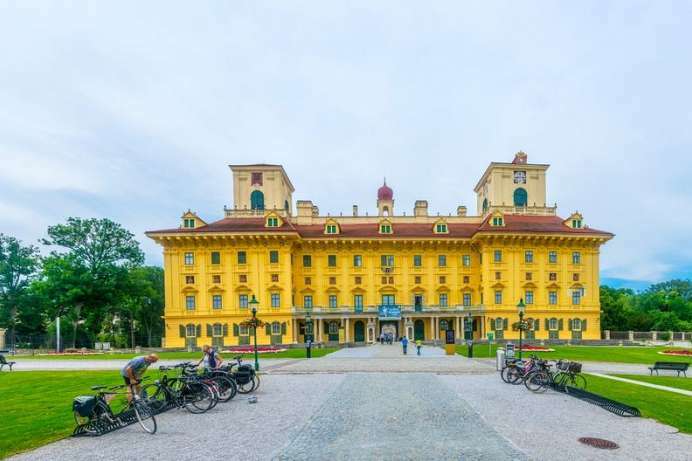 The baroque princely residence of the Esterházy family is one of the most beautiful castles in Austria. Already in the 13th century a gothic castle stood here. The historical ballroom of the castle is known as the Haydn Hall and is often used as a concert hall. In the 18th century Joseph Haydn served for thirty years as Kapellmeister for the Princely Court and in this capacity had to compose hundreds of pieces of music for immediate performance at the Prince's ceremonial occasions. The castle park is considered one of the most interesting monuments in Austria in terms of garden architecture.